Nikwax posted on facebook: This week we are getting into the spirit of the season. 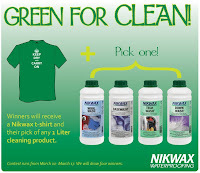 May we present: Green for Clean! 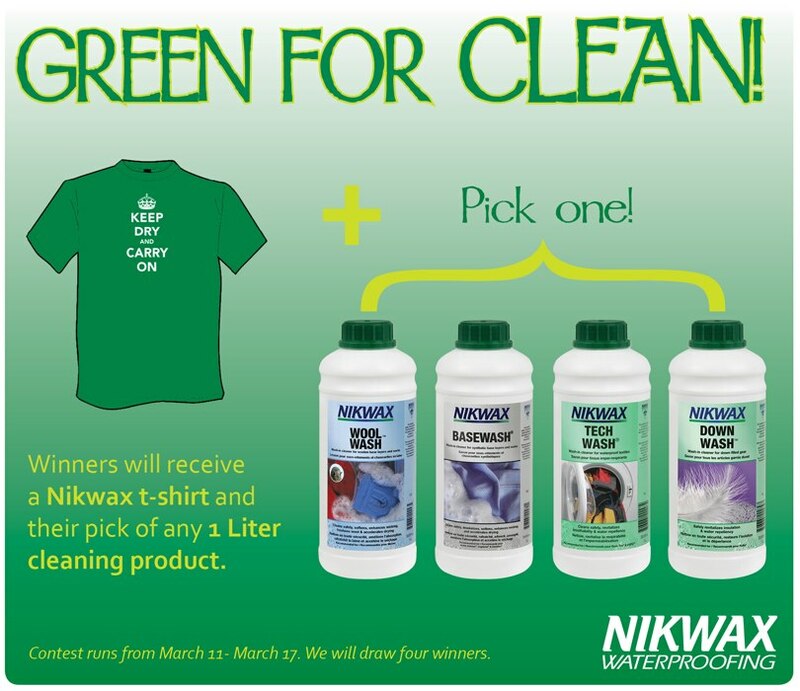 We will pick four lucky winners who will receive a green t-shirt and their choice of 1 liter cleaning product. Head on over and like them on facebook and check their wall for the contest post so you can enter for your chance to win!